In the UK, summer has come to an end with the last Bank Holiday before the long run up to Christmas. It’s also the time when retailers have sales and offers on, and I have found a few that could tempt you, plus save you money. Clarins are offering free delivery in the UK on all orders from 29-31 August. I prefer to order directly from Clarins as the stock will be new with a longer shelf life, which is important with products that contain natural plant extracts. Latest In Beauty has a Bank Holiday sale from the 25-29 August with 20% off everything with no minimum spend. A great time to try a build your own box or a curated box you’ve had your eye on. Cult Beauty has free standard shipping on all makeup items until midnight 28 August. Some exclusions may apply, do check the small print. 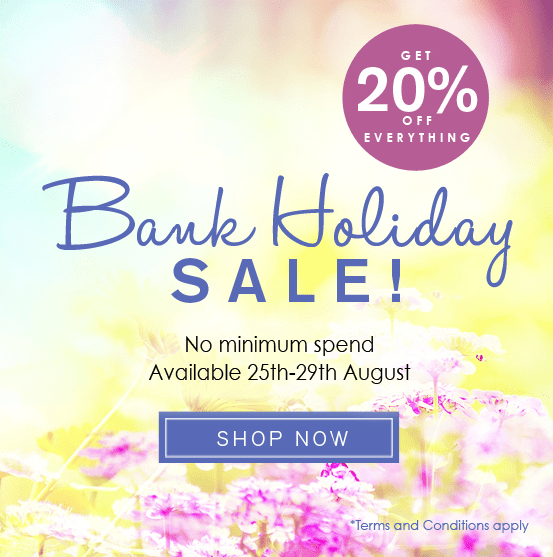 Feelunique have their sale on until 5 September, and have 20% off ELEMIS, DECLÉOR, REN and Emma Hardie until midnight BST 26th August 2016. There is no code required, as prices are reduced on the site. Space.NK have free standard delivery on all purchases, and has brought back their refer-a-friend offer. Recommend a friend and once they spend over £40 you get £10 towards your next purchase. This offer is valid until 26 September 2016. LoveLula has some special discounts, available until 31 August. Spend £40 or more at LoveLula this Bank Holiday weekend and receive 10% OFF. Use code GIVEME10. Spend £70 or more and receive 15% OFF. Use code GIVEME15. The Body Shop has £10 off £25 plus free standard delivery with code 19807, valid until 6 September. There are quite a few exclusions, so do check your products are part of the promotion before you checkout. In addition some classics have been lowered in price, including items from the Vitamin E range. Louis Vuitton will launch a fragrance range in September after spending four years in development. Included are: Rose Des Vents, Turbulences, Dans La Peau, Apogée, Contre Moi, Matière Noire and Mille Feux. Actress Lea Seydoux will front the campaign, and the fragrance will be available as an eau de parfum 100 ml (£180) and 200 ml £270), and a miniature set of 10 ml each will also be available. Burt’s Bees has a 3 for 2 on skincare until 31 August with the code BBFACE16. Liz Earle has free priority delivery for UK orders until midnight on 31 August.